Help! My Budget Isn't Working. Why Can't I Seem to Follow My Budget? If your budget isn't working for you, you need to carefully consider a few things. Your budget may not be working for a variety of reasons, and until you figure out what they are you can't fix the problem. Your budgeting style may not match the system you have set up, or you could have other issues, such as overspending. These simple questions can help you to address the budgeting weaknesses that stop you from managing your money effectively. Read on to identify your budgeting mistakes and learn to fix them. Often, people sit down and create a budget that just isn't realistic for them. For example, you may set a number for how much you spend per week on groceries that is too low, based on your current lifestyle. Or, you may underestimate the amount of gas you need per month to commute to work and run errands. Having an unrealistic budget can set you up for failure from the beginning. To create a realistic plan for your money, be sure you consider your set major monthly costs – rent, bills, student loan payments, retirement contributions – as well as your discretionary spending. That way, you can form a realistic view of how much you really spend each month, which will help fill in the blanks when it comes to creating a budget. Did You Cut Out All the Fun? If you have slashed all of your spending categories or entertainment options, you may have set yourself up for failure. Everyone needs some money for fun each month. You may have to limit it to $20/month if your budget is really tight, but that small amount can help stop you from blowing your budget by giving up on your budget and blowing hundreds one weekend. Though it may seem counterintuitive, this extra little bit of money can prevent you from feeling deprived, which can lead to overspending. Is It a Matter of Self Control? Another reason why your budget may not be working is lack of self-control. If you love to shop, splurge on nice meals, or pamper yourself, you may have a harder time sticking to a budget. Try writing down your financial goals and carrying them around with you in your wallet or purse. As you pull out your cash or debit card and look at those goals, it may help remind you of the reason you have a budget. Also, try avoiding the stores or situations that lead to splurges. You may also be wasting money without realizing it. Be sure you are not buying things you do not use or need. Take a friend with you if you need help limiting your spending. Is Budgeting Too Much Work? Tracking your expenses, evaluating your spending and just balancing your checkbook take up time every day. If you simply can't find the time to do this, try the envelope budgeting system instead. 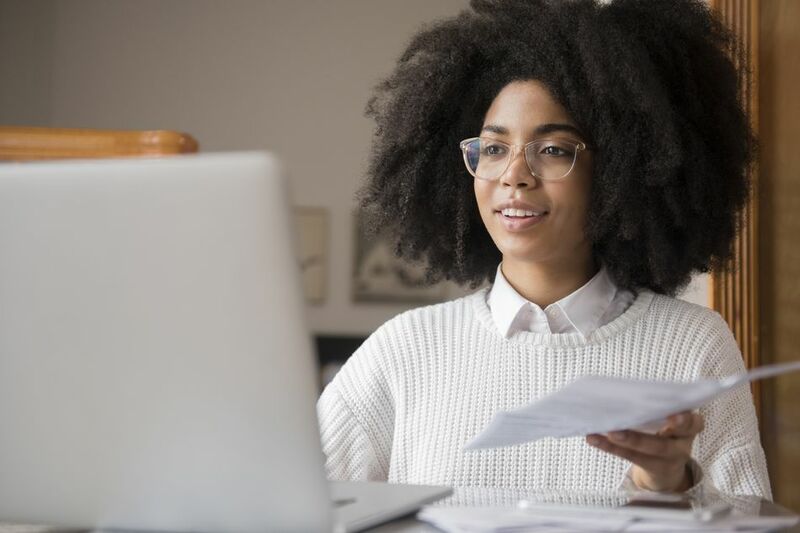 You may also consider switching to a cash-only budgeting system to cut down on the time involved or trying these five budget hacks to make it easier. Making tracking your expenses as easy as possible will also help you stick to it a budget. Do Your Financial Goals Seem Unattainable? If you are working to get out of debt, but you know it will take a year or two, then it may be difficult to stick with the plan. Avoid this by setting up milestone markers along the way, which can be extra motivation to stick to your budget. As you reach each mini-goal, reward yourself. If you avoid eating out during the week, you may reward yourself with a nice dinner out that weekend. Or if you manage to tuck away $1,000 into your savings, you may reward yourself with a new outfit. These little rewards may give you the additional motivation that you need. But don't go crazy with the rewards. Be sure that you do not go into debt or bust your budget as you reward yourself. Do You and Your Spouse Fight Over the Budget? If you are not working on finances together, then you may find that one spouse is overspending each month, or isn't putting in the effort to work toward your shared financial goals, like buying a new home, paying off debt, or saving for retirement. When dealing with family finances, it is important to work together to avoid money and marriage problems. You can negotiate through the categories that matter the most to each other, and find a budget that works for both of you. Weekly or daily budgeting meetings can help as you work on following your budget. The daily meetings are essential to help you identify your problems areas and to control your spending. Are You Forgetting Anything in Your Budget? It is important to include annual expenses, like family vacations, summer camp, or medical expenses, in your budget. You can set up a sinking fund for these expenses. You should also set up a category to cover irregular spending like the cost of attending a friend's wedding. These unexpected expenses may not count as emergencies, but it is important to plan for them so they don't derail your budget.